Some repetition of topics covered in "Book One" are repeated in a revised format within the earlier chapters of Book Two. The graphics have been enhanced and the text is more precise and focused. The book contains a Glossary as well as an index. One of the cruelest Frauds ever perpetrated against humanity is the Lie that a certain people are more cherished and beloved by God than other members of the human family. The lie that God Almighty has ordained a certain people as his Chosen is a sham unmatched in the annals of history. And it boggles my mind to comprehend why the Gentile population of the world willingly , without complaint or question, accepts the notion that they (Gentiles) are inferior (Less Chosen) in the eyes of god. The Israelites claim that they are the Elite of the World, God’s Chosen people, and the world shouts Amen! Can you believe it? Of course the , best way to promote any product, whether it be good or bad, is through the Endorsement of a highly respected and honored personality. And the Israelites have proved themselves to be master salesman! They claim that God almighty is their Endorser, their Promoter , their Sponsor, that represents them to the world as the most cherished jewels of his (god’s) creation. This lie is an abominable affront to the Character and Honor of God. How could God expect . Justice , Humanitarianism, Impartiality and Fair-mindedness to prevail amongst humanity, when (He) god himself is exemplified as a bigot. You should, for the sake of Truth and Justice, Remember the following biblical passage, always, Eph 6:12 For we wrestle not against flesh and blood, but against principalities, against powers, against the rulers of the darkness of this world, against spiritual wickedness in high places. Many people become uneasy and nervous, whenever anything critical is said about the Jewish people or their philosophy. This is because of a superbly effective campaign of Mind Conditioning that causes the average unbiased individual to fill guilty about criticizing a people that they believe are special in the eyes of god. Think of it, The lie (of being a chosen people) is linked with god, therefore it seems subconsciously wrong if not consciously sinful to be critical, of those whom you sincerely believe to be god’s elect. It is shamefully wrong for Any Race or Creed to be considered supreme by right of birth. If we are to be judged, let our worth be gauged by the quality of our Character, not by the rights inherited at birth. The biblical tale concerning the Children of Israel fits into the same category as the other Myths within the book. It (the biblical story of the Children of Israel) is an allegorical account of the Sun Deity. The Children of Israel in the old testament are synonymous to the Jesus Christ of the new testament. The triumphs and struggles of the Israelites are in direct parallel to the triumphs and struggles of the Christ. They (Israel) were chosen , just as Jesus was chosen. They were persecuted , just as Jesus was persecuted. They were resurrected to the promised land, just like Jesus was resurrected to the promised land. They (Israel) and Jesus Christ , alike, were allegorical representations of the Sun God. History shows , that when the Egyptians revolted and expelled the Hyksos rulers from their land, that they , the Hyksos fled and resettled in the vicinity of the city , which later became known as Jerusalem. Some say that they Founded the city of Jerusalem. They corrupted the theology of ancient Egypt , in terms of their interpretation of the eternal struggle between light and dark, and made it political and racial. They appointed themselves as God’s Chosen (in their theology), and all other nationalities were lumped into one ball as Gentiles, and designated as their (Jews/Israelites) natural Prey and nemesis. In the original astronomical mythology, the Chosen people symbolized the Sun, while traversing the region above the equinoxes. Also, that summer region above the equinoxes was symbolized as the promised land, the land of Israel (the chosen). 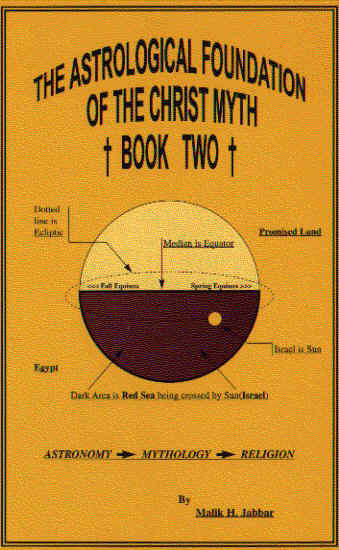 The Winter region below the equinoxes was symbolized as Egypt. This underworld region was where the Sun (Chosen) was enslaved and persecuted. The Underworld was the region of the Egyptians (Gentiles), those who opposed and persecuted Gods Chosen (the Sun). The Sun lost much of it’s light and power in the underworld region. The ancients visualized the Sun (Chosen) as losing God’s Favor, while in that region of trials and persecution. But, the net result of the Chastening effect of the nether world was to renew the Sun (the Chosen). The Faith and Devotion of the Sun (Chosen) was regenerated by the punitive elements of the nether world (underworld). More on this, later. We find , by researching the word Gentile (please refer to a good dictionary), that it’s root meaning refers to generating and birth, procreation. This shows how the Jews equated all other races outside of their own as elements of resurgence and opposition to their position of dominance. The generation and/or regeneration of the sun takes place below the equinoxes. The word Gentile refers to those that are in a state of regeneration, and the Jews are determined to prevent this rebirth. They have mongrelized the spirituality of the esoteric wisdom and made it political, earthly, and racial. They, Jacob (Jews, vernal equinox) stole the birthright of Esau (Gentiles, autumnal equinox), and are determined, never to relinquish their inheritance. This, in the original Egyptian theology, of course was not political or racial, but esoteric mythology. Israel is not , and never has been the Chosen nation of God. God does not have a chosen nation or people. The symbolism of Israel as the Chosen people of god is identical to the symbolism of Jesus as the Chosen son of God. Study the bible - and you will find that the promises and covenant that god made with Israel is duplicated, in kind, with Jesus of Nazareth. Both allegories i.e. the biblical histories of Israel as well as Jesus Christ, symbolize the annual Life Cycle of the Solar Sun. This mythology is derived from the ancient religious, astronomical, symbolism of Egypt - a mythology (religion) based and formulated on the Cycles of the Sun, Moon, Stars and planets within the Cosmos. The period of the Sun below the equinoxes (Fall - winter), when it’s heat and light became weakened, was represented by the ancients, as Persecution, Enslavement, Tribulation, Torment and finally Death. The Resurgence of the Sun at the vernal equinox (Spring - Summer) was symbolized as Resurrection, Victory, Freedom, Favorable Judgment, Salvation and/or the Promised Land. Let us briefly review some prominent similarities in the biblical histories of the children Of Israel and Jesus of Nazareth, Keeping in mind, that both Israel and Jesus are symbolic of the sun. (Prophecy that Israelites would undergo suffering and slavery - Prophecy That Jesus would undergo Capture, Persecution and death) - (Israel called chosen and beloved Jesus called chosen and beloved) - (Israel promised victory and dominion Jesus promised victory and kingship) - (Israel appointed mediator (ruler) over all other nations Jesus appointed mediator (intercessor) between god and all people) - (Israel tried in wilderness 40 years Jesus tried in wilderness 40 days) --- The Key to understanding this symbolism is found in the recognition of the annual solar cycle of death (winter) and regeneration (Summer). Death is sometimes represented as the actual death of the symbol (as in the case of Jesus) or as a severe tribulation for the symbol (as in the case of Israel). The promise of redemption (as in the case of Israel). or resurrection (as in the case of Jesus) always comes true, just as summer always follows winter. Gen 25:21 And Isaac entreated the LORD for his wife, because she was barren: and the LORD was entreated of him, and Rebekah his wife conceived. Gen 25:22 And the children struggled together within her; and she said, If it be so, why am I thus? And she went to inquire of the LORD. Gen 25:23 And the LORD said unto her, Two nations are in thy womb, and two manner of people shall be separated from thy bowels; and the one people shall be stronger than the other people; and the elder shall serve the younger. Gen 25:24 And when her days to be delivered were fulfilled, behold, there were twins in her womb. Gen 25:25 And the first came out red, all over like an hairy garment; and they called his name Esau. Gen 25:26 And after that came his brother out, and his hand took hold on Esau's heel; and his name was called Jacob: and Isaac was threescore years old when she bare them. Gen 25:29 And Jacob sod pottage: and Esau came from the field, and he was faint: Gen 25:30 And Esau said to Jacob, Feed me, I pray thee, with that same red pottage; for I am faint: therefore was his name called Edom. Gen 25:31 And Jacob said, Sell me this day thy birthright. Gen 25:32 And Esau said, Behold, I am at the point to die: and what profit shall this birthright do to me? Gen 25:33 And Jacob said, Swear to me this day; and he sware unto him: and he sold his birthright unto Jacob. First of all, as we pursue an astrological explanation of the preceding biblical text, we must remember - The verses are not historical, but rather pure symbolism. God never talked to two elderly people about having twin babies that were destined for eternal conflict with each other. And think of it, the one that was in line to inherit the world, so to speak, gave it up for a bowl of soup! The biblical tale of Jacob and Esau is a symbolical representation of the annual solar cycle and the supplanting of winter by the victorious summer. There is a lot of Lunar mythology in this tale also, but we will explore that facet latter in the book. The nefarious mentality of the Jewish Hierarchy (not the common Jew) is explainable from the preceding biblical verses also; because they Live a Literal interpretation of this symbolism. The Interpretation is a follows, Jacob and Esau are called twins because they occupy twin positions on the Zodiac. The zodiac has 4 cardinal points. Each cardinal point represents the commencement of an earthly season. First, the Vernal Equinox - which is the beginning of Spring. Second, the Summer Solstice - which is the beginning of summer. Third, the Autumnal Equinox - which is the beginning of Fall. Fourth, the Winter solstice - which is the beginning of winter. See Figure 2 on next page Figure 2(not available in this excerpt) Cardinal Points mark the start of Seasons. Vernal Equinox - Mar.21, is Spring. Summer Solstice - Jun. 21, is summer. Autumnal Equinox - Sept. 22, is Fall. Winter Solstice - Dec. 22 , is Winter. Both the Vernal Equinox and the Autumnal Equinox are at the same Declination, therefore they are Twins. But they are 180 degrees apart, in terms of Right Ascension, which makes them diametrical opposites. They are Natural Contenders. Jacob (vernal equinox) is the natural contender supporting spring-summer, and Esau (autumnal equinox) is the natural contender supporting fall winter. These two can never be at peace. Their struggle is eternal, the war never ends. Esau is the Lord of Darkness, because the sun loses it’s light after passing below his horizon. He is the western horizon under which the sun sets. He also represents the first born (Jews begin their day at sunset). Jacob is the Lord of Light - the sun conquers darkness at the Eastern horizon. Jacob’s land is the promised land of Daytime or Summer. God rules (the light of the world dominates in daytime/spring-summer) with Jacob. Jacob is the (symbolical) Chosen of god because of his position as doorway (doorkeeper) to the Kingdom, of the Temperate region. And you cannot get into the Kingdom of the temperate zone unless you go through him (Jacob/Jesus/Vernal Equinox). An imaginary line drawn between the equinoxes would represent (on earth) the line of demarcation between the Northern and Southern Hemispheres. When the sun is above the equinoxes , in the northern hemisphere, we enjoy warm temperate weather. The journey of the sun thru the zodiac is counter clockwise, so that the beginning of warm temperate weather starts at the vernal equinox (Jacob, March 21). The beginning of cold hostile weather is at the autumnal equinox (Esau, September 22). So the struggle between Jacob and Esau, from the Womb, was actually symbolic of the struggle by the forces of Light (sun) against the forces of Darkness. These were astronomical phenomena that the ancients recorded as symbolical Mythology. The wise never took this message literally. The fact that the Hebrews have interpreted this symbolism literally , as historical, has turned the theology of the world head over heels. It rings abundantly clear, according to the preceding verses, that the Devil , Serpent and the Dragon are synonymous. We find also that Pharaoh was considered a Dragon/Devil/Serpent. We find, furthermore that the Serpent/Pharaoh was native or accustomed to the sea. The Red Sea represents the celestial sea beneath the equinoxes., the Netherworld, the southern hemisphere. The ancients used the term Red (scarlet) to indicate debasement, trouble, the period of the sun’s trials. Passing through the Red Sea simply means the sun’s (Israel’s) passage through the zodiacal sectors that lay beneath the celestial equator. With Aries as the point of the spring equinox, you have Libra through Pisces as the sectors of the Red Sea. See Figure 3 on next page Figure 3(Not available in this excerpt). The Children of Israel passing through the Red Sea signify the passage of the sun through those troubled waters. Pharaoh represents the serpent , the autumnal equinox, the Herod type that seeks to destroy the sun (Israel), but ultimately is destroyed himself, when the sun (Children Of Israel) reach the point of safety, i.e. vernal equinox. The Ancients used the term Red, to describe the celestial sea beneath the equinoxes, as a metaphor for the term Blood. This reference to the Red Sea grew out of Lunar Mythology. The Ancients made (discovered) correlations between the Moon cycle and the Sun’s cycle. The moon’s cycle(28 days) had already been correlated to the human female, and now they did the same with the Solar(365 day) cycle. The waning of the Moon which starts after 14 days into it’s cycle, after the culmination of the full moon, correlates to the human female biological flow of the menstrual Egg (Blood) from her ovaries after it’s maturity at 14 days. The Autumnal Equinox (which correlates to the full moon of lunar mythology) is when the Egg (Blood) is released to Flow toward it’s opening (birth) which will occur at the Vernal equinox (equivalent to the Lunar New Moon). The 14 lunar mansions below the equinoxes are a solar correlation to the lunar 14 days of the Egg’s (blood) flow toward the opening or point of birth i.e. the vernal equinox. The credos , cultural and moral values within religion were evolved from scientific mythology also. The original mythology was astronomy rendered as Myth. Evil or Good, Moral or Immoral are not scientific concepts. But Society Can not sustain itself as a cohesive and organized unit, without a common Belief basis. The Sages recognized this. They formulated their religious tenets to correspond and parallel mythological science (Astronomy). In other words, they established the House of Religion on top of a Foundation of Esoteric Truth. This Esoteric Truth, when taken literally, is pure idiocy. But , they had little respect for the intellect of the common people. Through this system of esoteric symbolism, they preserved their Gnosis, and in tandem provided general society with a belief system , that worked. The Vernal Equinox (in it’s religious application) now became an entrance way, a Gate to Paradise (Heaven). The subjects passage from the lower world( world of matter) to the upper world (spiritual world) was not guaranteed. The Subject now had to qualify, he had to be Judged. Did he give in to the Evils of the underworld, or did he remain faithful to the Lord of Light (Good)? His Fate weighed in the Balance. Satan was the Accuser of the Subject, because he wanted to keep his victim in Hell, or send his Victim to the lowest regions of hell (Capricorn) into his Pit. Mat 27:50 Jesus, when he had cried again with a loud voice, yielded up the ghost. Mat 27:51 And, behold, the veil of the temple was rent in twain from the top to the bottom; and the earth did quake, and the rocks rent;Mat 27:52 And the graves were opened; and many bodies of the saints which slept arose,Mat 27:53 And came out of the graves after his resurrection, and went into the holy city, and appeared unto many. * Exo 3:18 And they shall hearken to thy voice: and thou shalt come, thou and the elders of Israel, unto the king of Egypt, and ye shall say unto him, The LORD God of the Hebrews hath met with us: and now let us go, we beseech thee, three days' journey into the wilderness, that we may sacrifice to the LORD our God. * Exo 5:3 And they said, The God of the Hebrews hath met with us: let us go, we pray thee, three days' journey into the desert, and sacrifice unto the LORD our God; lest he fall upon us with pestilence, or with the sword. * Exo 8:27 We will go three days' journey into the wilderness, and sacrifice to the LORD our God, as he shall command us. * Gen 22:2 And he said, Take now thy son, thine only son Isaac, whom thou lovest, and get thee into the land of Moriah; and offer him there for a burnt offering upon one of the mountains which I will tell thee of.Gen 22:4 Then on the third day Abraham lifted up his eyes, and saw the place afar off. Special discount on Package Buy of all 5 Titles - $48.56 plus shipping! We accept MasterCard, Visa, and Amex! Buy Now Receive one copy each: "The Astrological Foundation Of The Christ Myth" - Books 1, 2, 3 and 4 and one copy of "The Biggest Lie Ever Told 4th Edition"
Important Shipping Information For Foreign Shoppers!